This course will examine the structure and function of ecosystems and their responses to natural and anthropogenic changes. Students will develop critical analytical, reading and writing skills through problem sets and group field project. 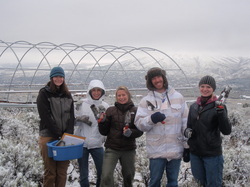 Graduate students will conduct an independent project on a topic of their interest or related study that incorporates ecosystem concepts discussed in class. A weekend field trip will be required. Through these activities, students will develop the ability to integrate and contexualize the principles of ecosystem management and gain an understanding of the importance of maintaining ecosystem functions to sustain the ecosystem services that they provide. 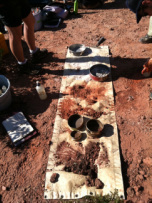 This course provides the student a basic understanding of soils and factors of soil formation. Major topics include basic soil properties, soil physics, soil biology and soil chemistry. Students get hands-on experience in soil description and classification.